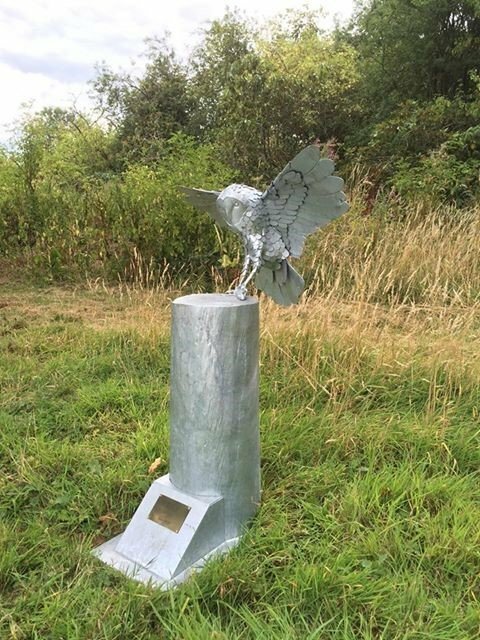 This beautiful sculpture by Alan Colebatch, The Metal Artist has recently been settled in its new resting place. Alan is based on the Herefordshire and Worcestershire border and has been a loyal customer of Hereford Galvanizers for some time. ‘Thank you for the care and attention taken galvanizing my latest piece, both myself and my customer are very pleased with the quality finish’ Alan Colebatch.